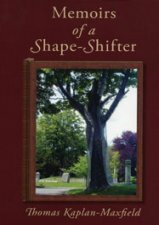 A work of fiction with Gothic undertones shifting between present-day and colonial New England, “Memoirs of a Shape-Shifter” contains within the third-person narrative of Nikki Helmik the found Journal of her ancestor, Anne Cleves, written strikingly in first-person. A dramatic story of love, loss, and Druid magic, Anne’s Journal strangely echoes Nikki’s own struggle to resolve the crises in her life. Haunted and inspired by her ancestor, Nikki becomes a Druid magician, resolving for herseif the deadly attraction between power and love. This psychological exploration of a woman’s all-too-contemporary personal upheaval oscillates between realism and romance, contemplative drama and adventure story, replete with Druid magicians, centuries-old curses, wolves, ravens, and the mystery of a broken brooch. Down Gloucester’s narrow streets, deep into Dogtown woods, teetering on granite cliffs and plunged into stormy North Atlantic seas, the reader is drawn into a labyrinth in which the age-old war of the sexes is given a new twist. This woman’s post-millenium journey of self-discovery swoops and plunges amidst the rocky cliffs of the New England coast and in its deep forests. Nikki’s story is intertwined with her foremother’s riveting first-person tale, vividly presented as living history steeped exotically in Celtic lore. Kaplan-Maxfield’s artful story-telling provocatively enacts the mystery at the heart of the book: the power of words to make magic—in the process turning our conventional understanding of power on its head. the author of four novels — Black Forest Love, The Scarab Chase, Hide and Seek, and Memoirs of a Shape-Shifter. A PhD, he has taught both writing and literature at Tufts University and Boston College for the past fifteen years. Lawrence Durrell, Kaplan-Maxfield’s friend and correspondent, once told the author, „You have the new book in you.“ I don`t know the author personally but Kaplan-Maxfield is a brilliant author and every reader will find a well thought out story.